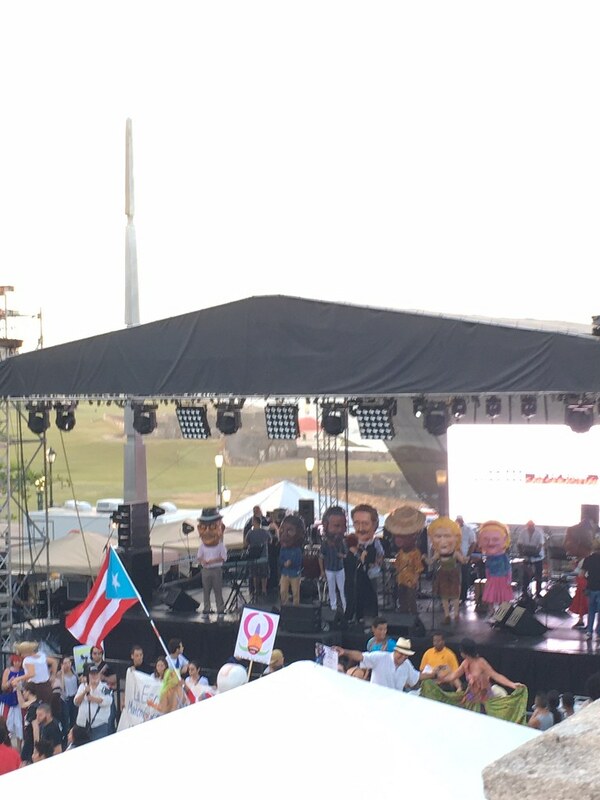 This week officially marks the end of the holiday season for us and for Puerto Rico. Our last guests left this past Friday and it wrapped up a great first holiday season for us in Puerto Rico. 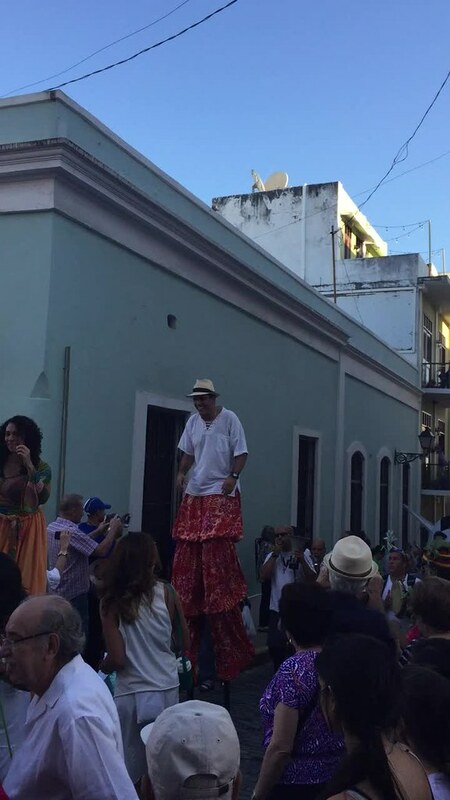 The holiday season in Puerto Rico last longer than mostwith the final celebrations being the Octavas and Octavitas. I’ve always known Three Kings Day (Jan 6) as the marking of the end of the holiday season, and when many people take down their trees and celebrate with a King Cake. Three Kings Day here is as big as Christmas but the party doesn’t end with the Magi’s visit. The eight days after Three King’s day are supposed to be a time of reflection, which naturally means more reasons to get together with friends and family to eat and drink. These eight days are called the Octavas. After the Octavas come the Octavitas, another eight days of reflection and celebration. The Octavitas culminate with the feast day of Saint Sebastian. 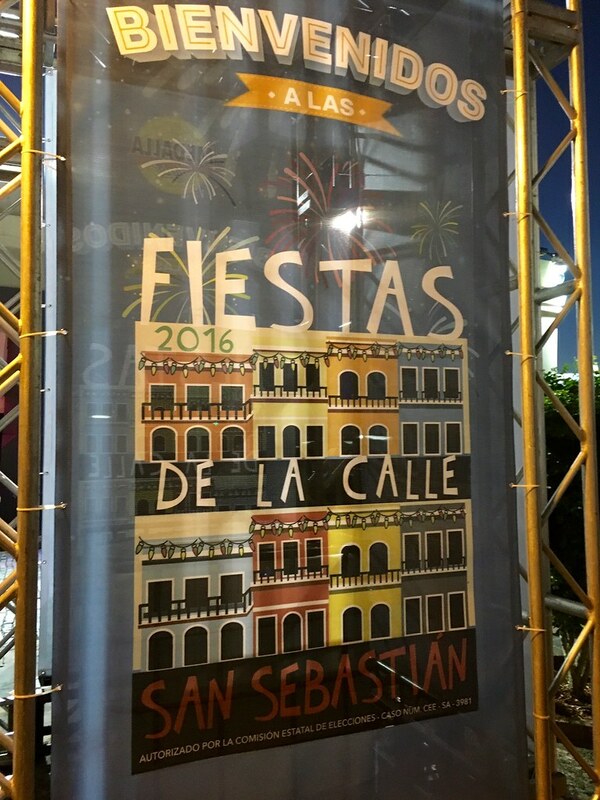 In Puerto Rico, this day is marked with a 4 day long celebration, and the biggest festival on the Island, Las Fiestas de la Calle San Sebastián, or for those in the know, SanSe. In order to fully embrace our new home we decided we needed to participate in SanSe and celebrate the end of the holiday season right! 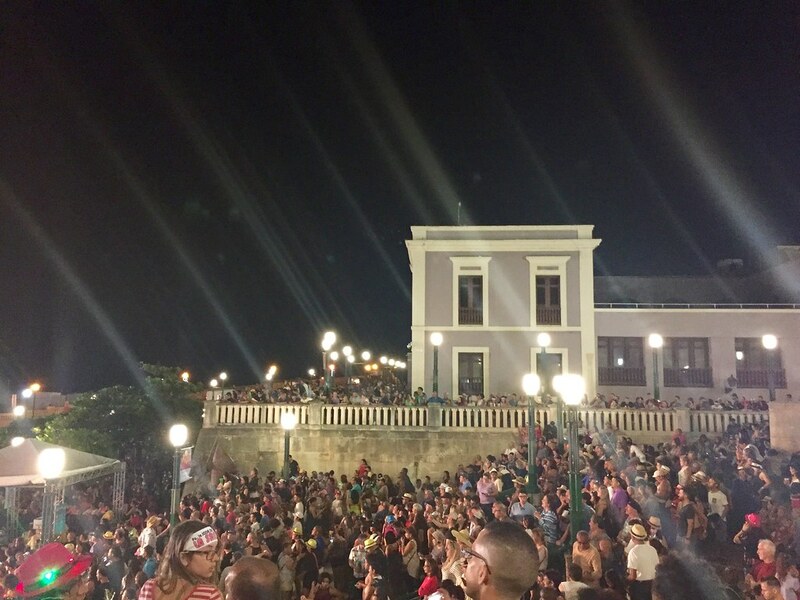 We picked up our friends from the airport and headed into Viejo San Juan to our Airbnb for a couple of party days at SanSe! We were only able to get a room for the first two nights (Thursday and Friday) and we booked our place back in September! If you want a place to stay for the whole festival, you have to book a year out or shell out a lot of money for a hotel. We figured two nights would be enough to get the flavor of SanSe and we were definitely not disappointed!! We had a great Airbnb in a quintessentially Old San Juan apartment with a courtyard in the middle and all the rooms off the courtyard. It was also perfectly walkable to everything but not right in the thick of the chaos. 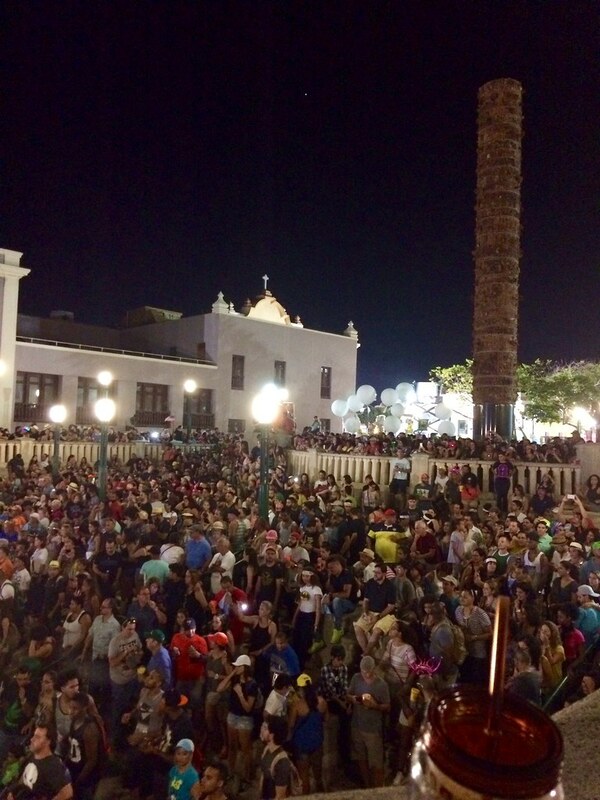 SanSe saw over 700,000 people over the 4 days of the festival last weekend. The whole of Viejo San Juan was cleaned and primed for the event. Cars are only allowed into the city during certain hours of the day and no street parking anywhere in the city is permitted, that means the lots fill up fast. The city did a good job of having public transportation in and out, and listing all the available parking and shuttles. We were lucky to come in early and be able to park in one of the lots. SanSe is a festival of celebration, music, food, and dance. There were 4 official stages throughout the city and food stalls set-up everywhere. There were also over 300 artisans set-up throughout the city which was a nice way to spend the days before the music started. 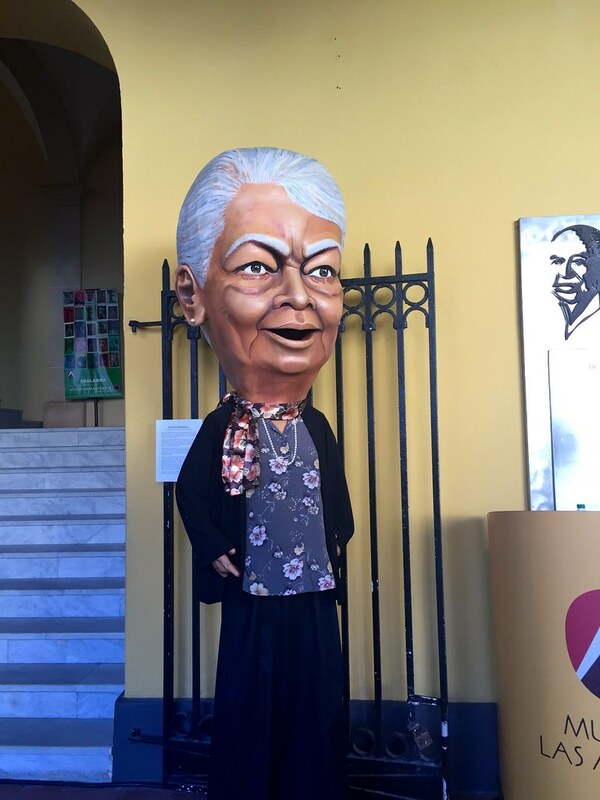 Each day was officially kicked off by the Parade of Cabezudos; dancers wearing giant paper mache representations of famous Puerto Ricans, politicians, and historical figures. The parade dances its way through Calle San Sebastian to the main stage and then the first musical acts begin. The music is a wide range of genres from all over Latin America. From salsa bands, to spanish rock, to reggaeton, to DJ house music. There was something for everyone at each of the different stages. 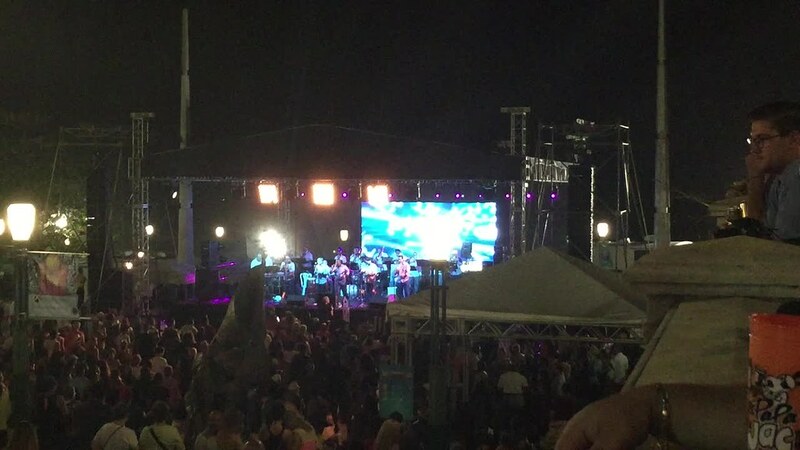 We lucked out with the bands we saw while we were there, high on the list was Tego Calderon followed by Richie Ray and Bobby Cruz. We had a lot of fun just randomly turning corners and finding more good music. The music and dancing isn’t of course limited to the stages. Every single bar has music coming out, people bring their own instruments and dance troupes and play in the streets, and you can even find plenty of houses that have turned their living rooms into dance parties you can join for a fee. Everyone everywhere was selling booze and food. Medalla specials are everywhere, the adult juice pouches called Gasolina were in every cooler on every corner, and you’re free to roam with your adult beverages as long as you can behave yourself. I noticed the police were present everywhere but not overbearing. 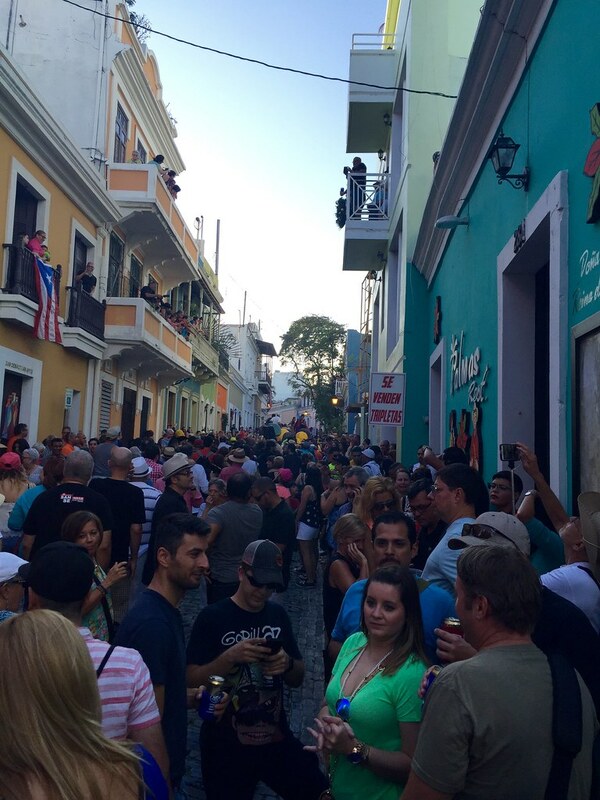 SanSe is also the one time of year the streets to La Perla are open to the masses. If you don’t know about La Perla you can read up more here. 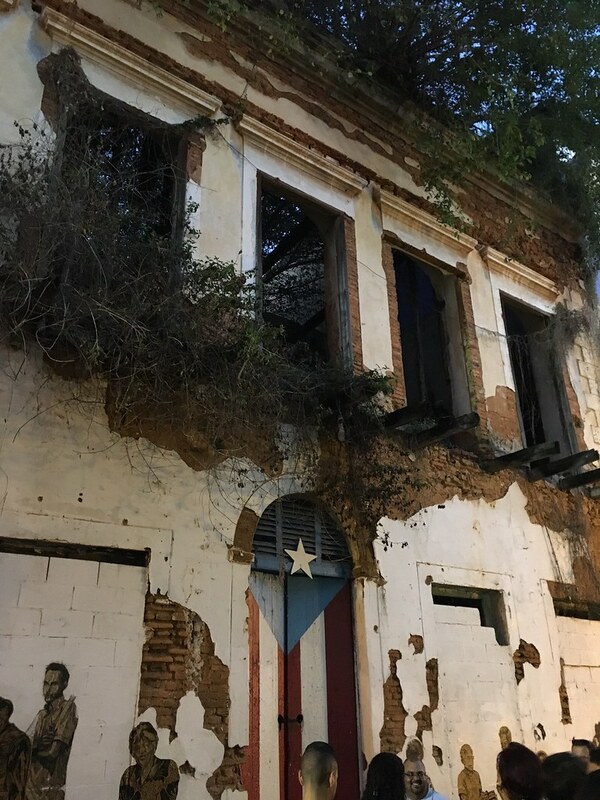 Suffice it to say the neighborhood below Old San Juan historically hasn’t been very fond of tourists roaming in and snapping pictures on most days of the year (you shouldn’t take pictures during SanSe either…). 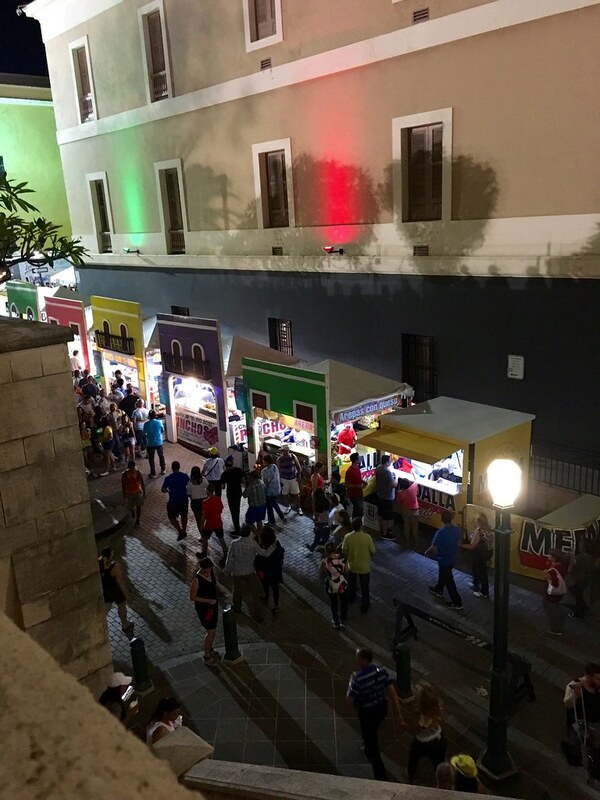 During SanSe however, enterprising residents know they can make some good money by opening their doors and selling drinks and food. We took the opportunity to see what it was about, sticking to the main street like everyone else. We heard more great music, saw more fun dancing, and were entertained by the reception line of gentlemen with tackle boxes offering us a variety of substances for purchase. 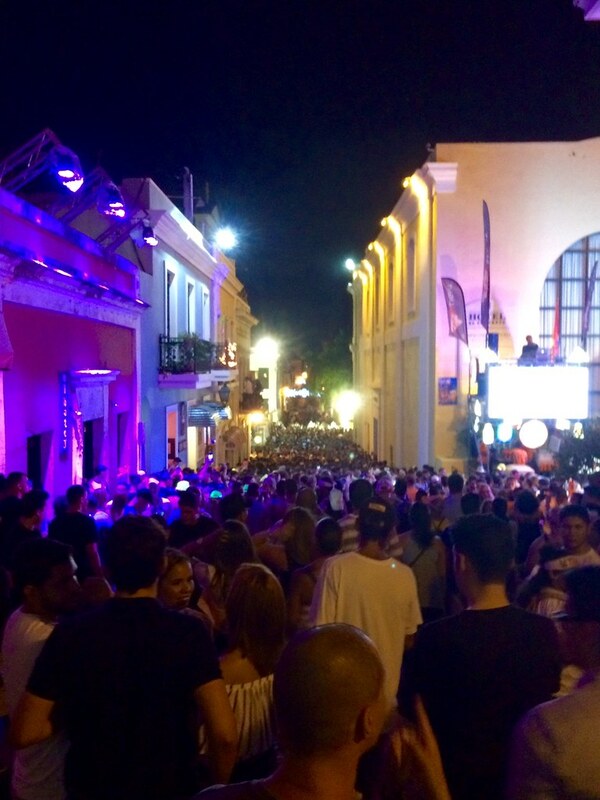 Thursday night was definitely the lightest of nights in Old San Juan. By the end of the night on Friday, we could barely squeeze through the streets of warm booze filled bodies. The lines to the porta-potties definitely grew longer as did the lines to the “sponsored bathrooms” where you could like a certain sponsors’ facebook page as a way to gain access to the “cleaner”, well-lit baños. The music, the food, the dancing, the culture, the people were amazing. There were hardly any incidents we noticed of people being too drunk, or too angry, everyone was out to have a great time and it seemed like pretty much everyone did. I won’t lie though I had my fill of large crowds by the time we left Saturday morning and the city was only going to keep getting busier. 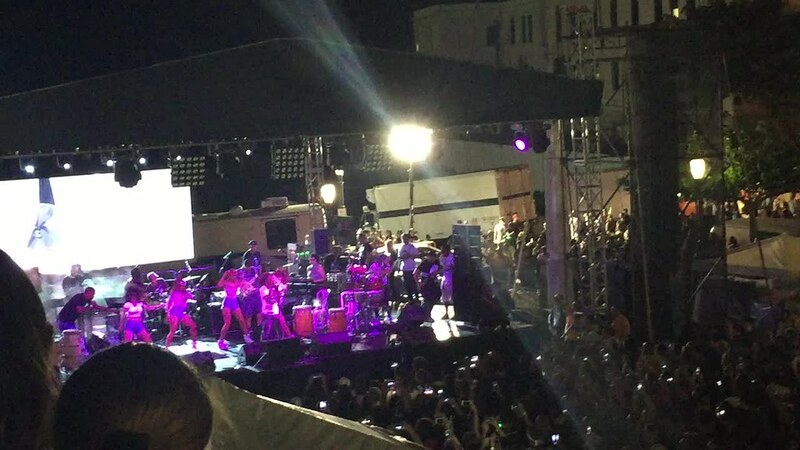 We might have missed some more good music but I think it was a great way and perfect amount of time to experience how Old San Juan does a party.